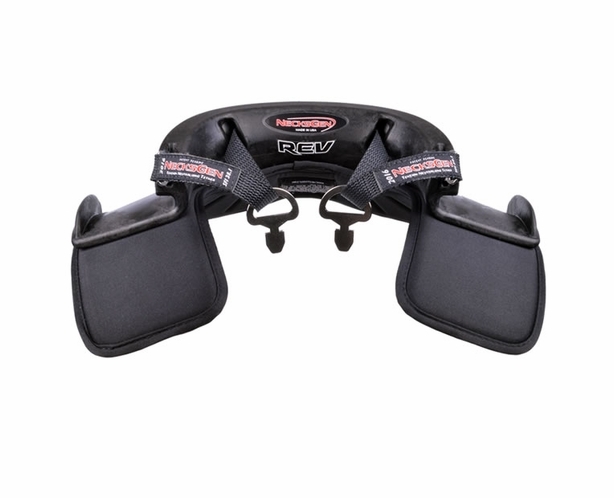 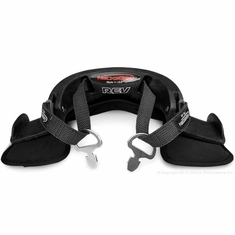 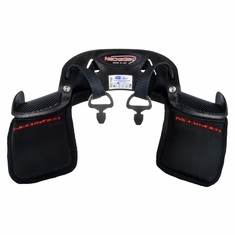 Large Necksgen HNR works with 2″ or 3″ shoulder harnesses and fits drivers with necks wider than 6″ comfortably. 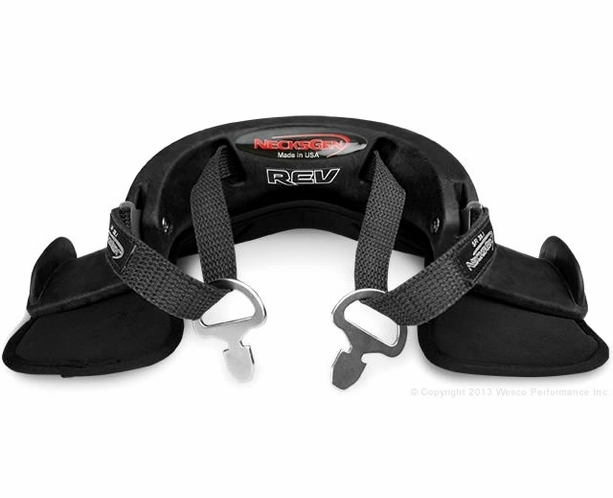 The NecksGen HNR (neck restraint device) is the latest cutting edge technology in head and neck device systems. 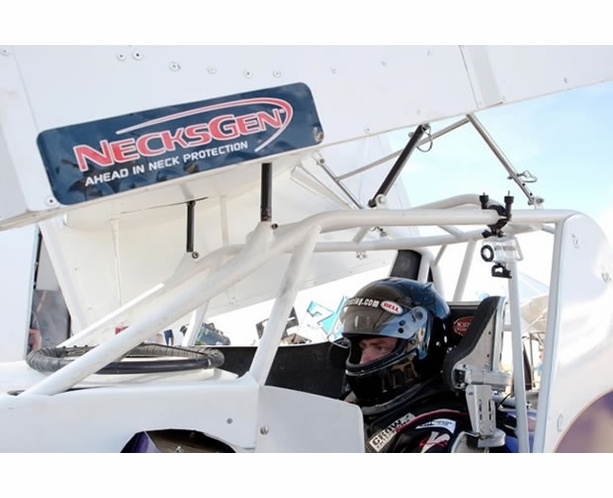 Unlike most other neck restraint devices, NecksGen protects the race driver not only in forward head and neck motion, but ALSO lateral (side) motion and angular motions due to the additional side tether protection provided by the exclusive continuous tether system that is not available with other older technology restraints. 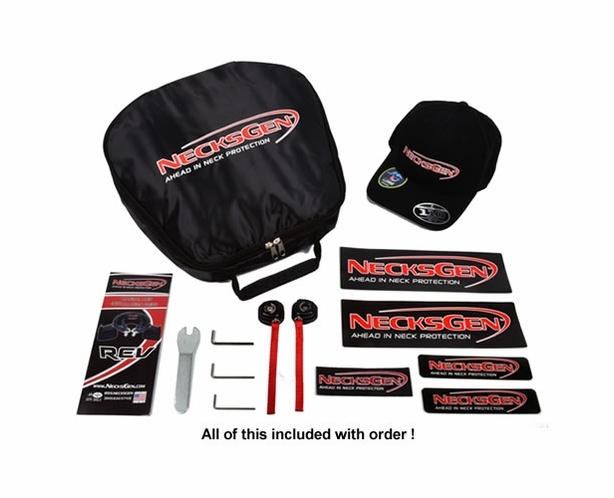 NecksGen's unique adjustable tension tether system distributes forces through 4 different load paths during impact. 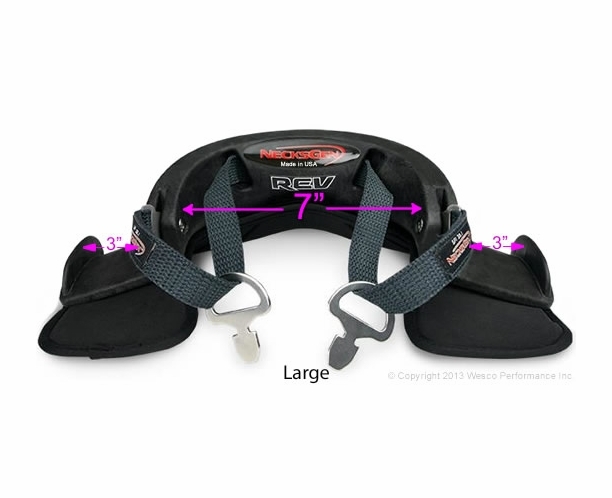 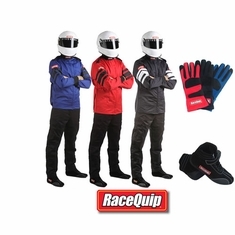 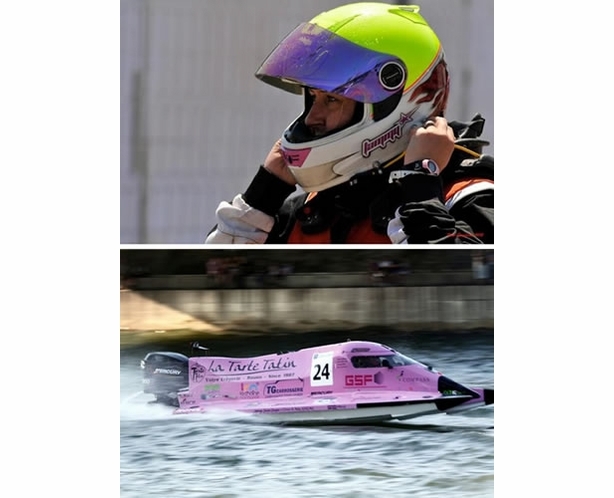 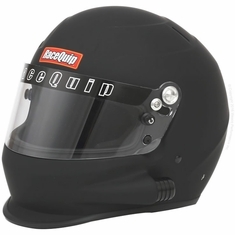 Even with the additional safety protection, it allows the racer full range of neck and head motion while racing. 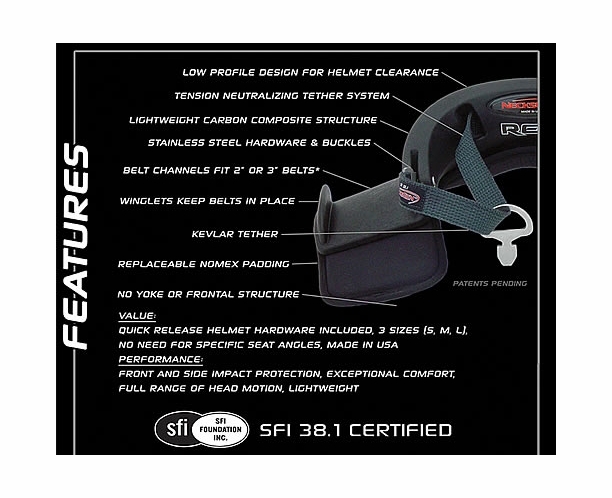 Included quick release hardware is amazingly smooth. 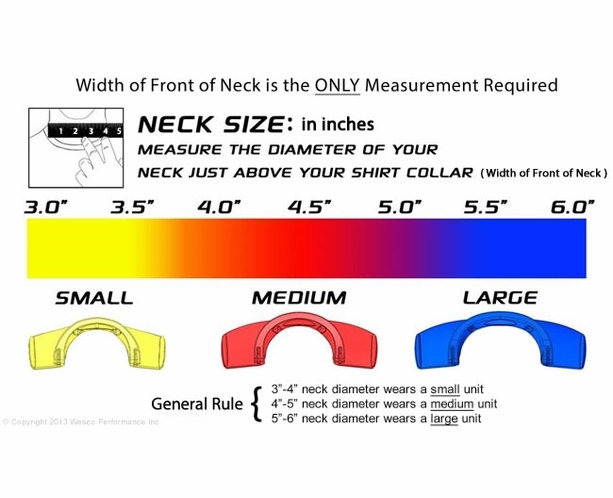 Just pull both release tethers (or use 2 finger pinch release) while bringing your chin to your chest and you're disconnected! 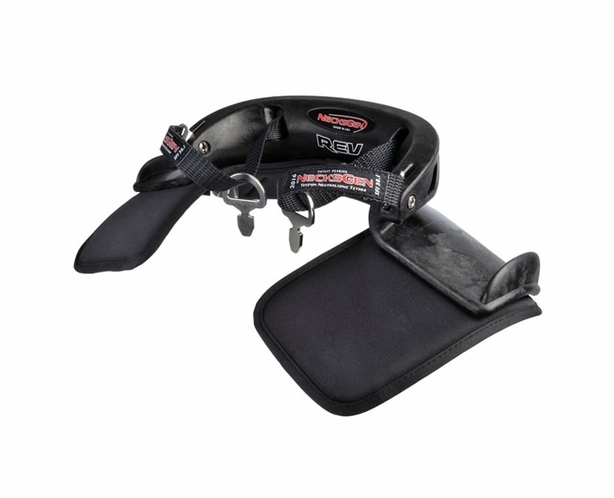 Easily buy neck restraint for sale price online. 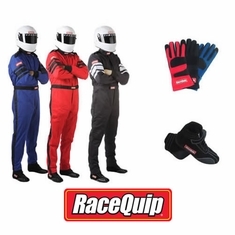 Also Includes Quick Release Hardware, Tool Kit, Decal Kit, Patch, Flexfit™ Cap, Racing Gear Bag and. 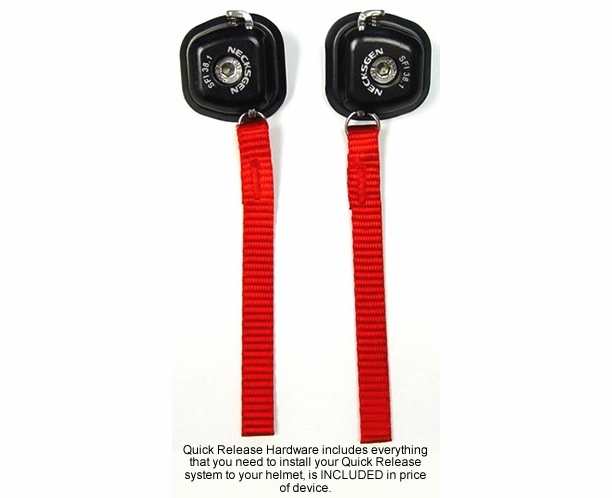 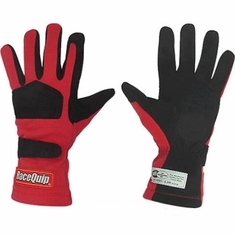 Quick Release Hardware Included with Price - Features BOTH 2 finger pinch release and easy tether pull. 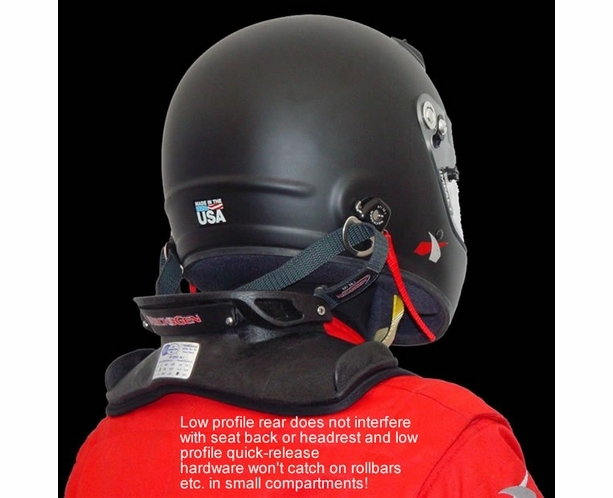 Low Rear and Quick Release Profile superior for small cockpit racing vehicles like dragster and land-speed cars. 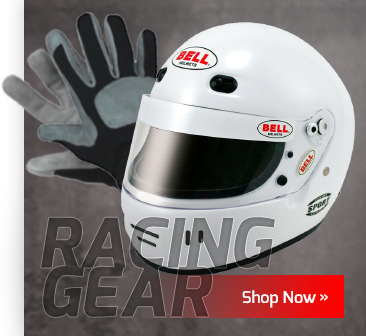 Does Not Include Other Non-HNR Items in Your Order Unless Other Item Has Free Shipping Offer As Well.